The Ordinary Life of an Extraordinary Girl: True or False? Every year on March 21 we celebrate World Down Syndrome Day. All across the world people who have Down syndrome or been graced by Down syndrome are writing and talking to create awareness of the gifts of Down syndrome. Because of Alex, we are lucky to say, every day is WDSD in our lives. Our 19 year old daughter has graduated from high school and is waiting to hear from college. She has taken a gap year and works in the community, volunteers and participates in social activities. She has just returned from representing the United States of America in the World Winter Special Olympic Games in South Korea. Alex challenges all who meet her to change their idea of what Down syndrome means. 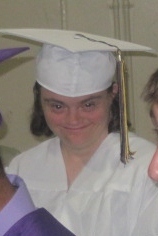 She tears away at pre-conceived notions of Down syndrome one person at a time, every day. 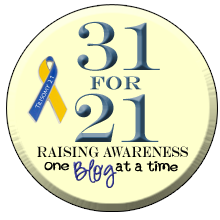 This year in honor of WDSD bloggers across the world are sharing thoughts on two seemingly simple words: fact and fallacy. As a person who has been graced by Down syndrome these nouns permeate our lives. As Alex unknowingly changes the eyes of everyone she meets, she also unknowingly turns fallacies into fact. Alex can do simple addition and subtraction in her head. Alex can tie her shoes. Alex is waiting to hear from college and wants to live in her own apartment. Alex’s speech is very good. She converses and speaks on the phone and everyone understands her. She still takes speech once a week. Alex takes the bus to work and has excellent safety skills. Sorry, we know lots of people who are raising children with special needs and they come from all walks of life. John and I are no different than any other parents. We love our children, no matter who they are and work to provide them with the best future we can. Huh? What the heck does this even mean? 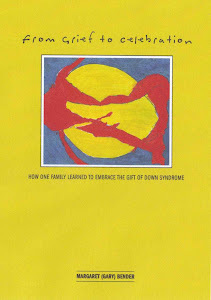 We have a child with down syndrome and that is the only difference between us and other families. I can argue all kids can cause family angst. This is meant as a compliment, and I really do appreciate it, but it may or may not be true – only the future will tell. I know that I am no different than any other mother I know – so I guess that means we are all great mothers. The only difference, I have a daughter with down syndrome. The above was taken from the post - Verb 6 Understand - first published on October 4, 2010. Please check out these other great posts! Another great post. Alex is amazing. Celebrating WDSD here with our 3 awesome kids. Thanks Susan - you get to celebrate triple - just like a trisomy. Have a great celebration! Thanks Meriah and Micah for stopping by! Great post. Alex inspires me!